An economical Vertical Profile Projector with a 250mm screen and 100mm x 50mm movement work stage, digital display on both linear and angle. Suitable for workshop and inspection departments. 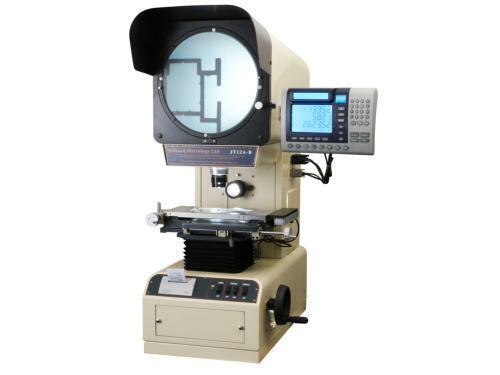 A Vertical Profile Projector with a 300mm diameter screen and angular measurement. 150mm x 50mm movement work stage with a DS 600 geometric display box and built in mini printer, profile and surface illumination. Suitable for workshop and inspection departments. 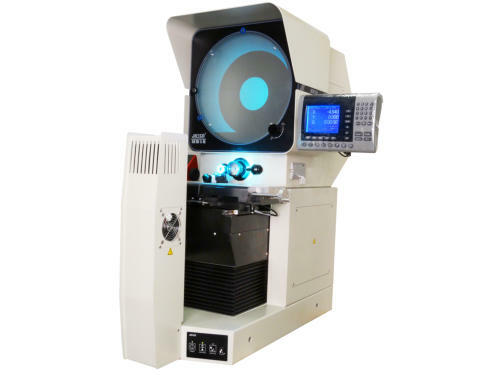 A Vertical Profile Projector with a 300mm diameter screen and angular measurement, 200mm x 100mm movement work stage with digital display, DS 600 geometric display box and built in mini printer, profile and surface illumination. Suitable for workshop and Inspection departments. 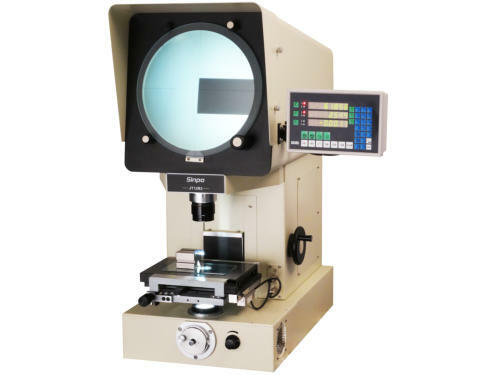 Profile Projectors, Shadowgraphs, Optical Comparators or sometimes simply known by their model numbers JT-12, VB12, HB12 , HB16 , R14, HB400 AND PJ3000. 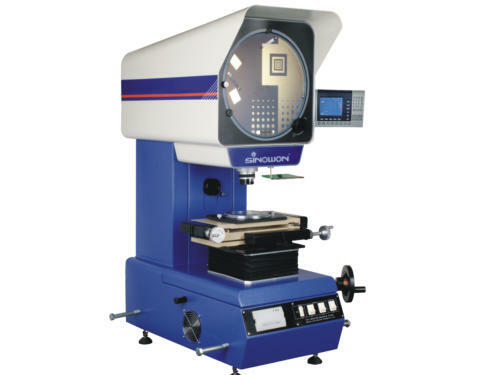 In the range are both Vertical and Horizontal style Profile Projectors from a number of different manufacturers. Our Profile Projectors are also available as small compact Bench Types where space is at a minimum. New Profile Projectors supplied by Midland Metrology are supplied with a Calibration Certificate and 12 months warranty for complete peace of mind. Used Projectors are always in stock and often include the ever popular Baty R14 and Mitutoyo PJ300 and Mitutoyo PJ3000 Projectors Profile Projector Demonstrations We are happy to demonstrate our Profile Projectors at our Coventry showroom where we always keep a comprehensive range of both new and used machines. Our wide range of projectors allow us to provide our customers with best type of machine for their application. 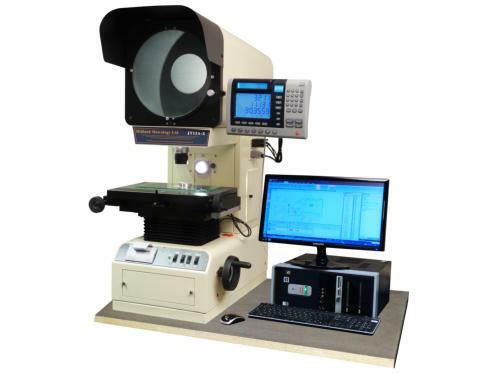 Profile Projectors supplied by Midland Metrology are issued with a calibration certificate and 12 months warranty for complete peace of mind. A Vertical Profile Projector with a 300mm diameter screen and angular measurement, 200mm x 100mm movement work stage with digital display DP 300 geometric display box, built in mini printer and profile and surface illumination. Suitable for workshop and inspection departments. If you already own a Profile Projector that you would like bringing up to date then why not contact us for a quotation to retrofit new electronics and scales. Our commitment to you does not end once you have bought a Profile Projector from us. We can offer on-site service and calibration contracts to ensure your Projector is maintained in first class condition. Please contact us for further details. We will be happy to assist. 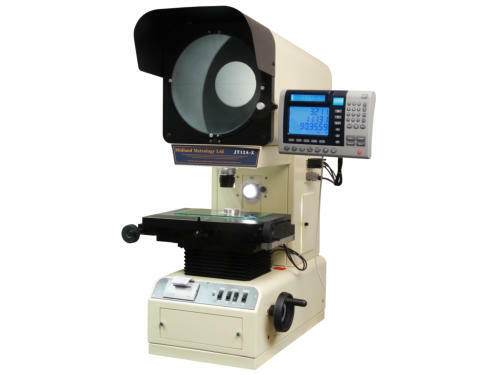 Profile projectors with screens 12 inches / 300 mm, 14 inches / 350 mm or 16 inches / 400 mm diameter are available with sophisticated electronics that geometric measurement functions including the calculation of Radius, Diameter Angles etc. Projectors are also available with simple conventional digital displays. 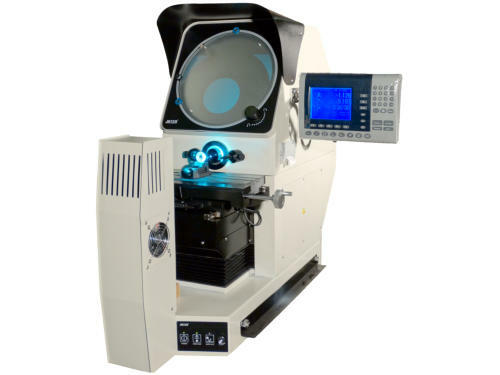 A Horizontal Profile Projector with a 400mm diameter screen and angular measurement. 300mm x 150mm movement work stage with digital display DP 300 geometric display box and built in mini printer, profile and surface illumination. Suitable for workshop and inspection departments. 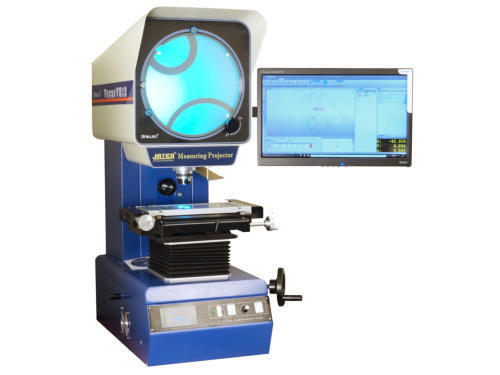 When Axel Software is connected to our Profile Projectors, it allows a component to be drawn as it is being measured, It also has the advantage of being saved and exported as CAD files, SPC is another capability of the system. 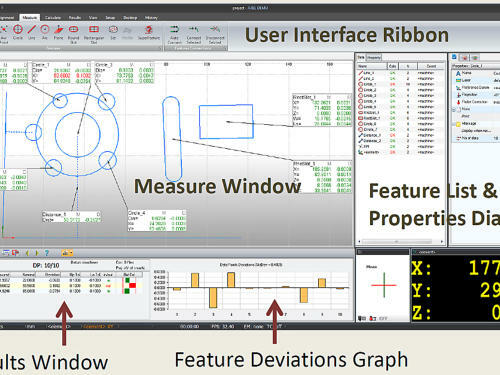 The operator can easily generate working drawings with dimensions and tolerances. Full A4 size print reports customised for each operator are easily produced. 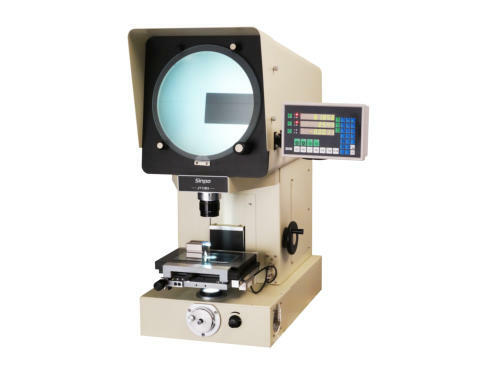 Profile Projectors, Shadowgraphs, Optical Comparators or sometimes simply known by their model numbers JT- 12, VB12, HB12 , HB16 , R14, HB400 AND PJ3000. In the range are both Vertical and Horizontal style Profile Projectors from a number of different manufacturers. Our Profile Projectors are also available as small compact Bench Types where space is at a minimum. New Profile Projectors supplied by Midland Metrology are supplied with a Calibration Certificate and 12 months warranty for complete peace of mind. Used Projectors are always in stock and often include the ever popular Baty R14 and Mitutoyo PJ300 and Mitutoyo PJ3000 Projectors Profile Projector Demonstrations We are happy to demonstrate our Profile Projectors at our Coventry showroom where we always keep a comprehensive range of both new and used machines. Our wide range of projectors allow us to provide our customers with best type of machine for their application.